Attending college can be intimidating—even more so if students do not feel accepted by their peers. In an effort to provide a sense of cultural connections and diversity appreciation at the University of West Georgia (UWG) and through the cooperative effort of Ingram Library’s Special Collections, the Center for Diversity & Inclusion, Alumni Relations and a variety of student organizations will feature an upcoming exhibit that explores all African-American alumni’s time spent at UWG during their student years. The exhibit is set to open at the beginning of February 2016 on the ground floor of Ingram Library. Current and former alumni should submit their stories by Nov. 1, 2015 and it should be mailed to the Office of Alumni Relations. By showing how former black students at UWG dealt with their collegiate years, the organizations involved hope to encourage current students to consider race and ethnicity on today’s campus. 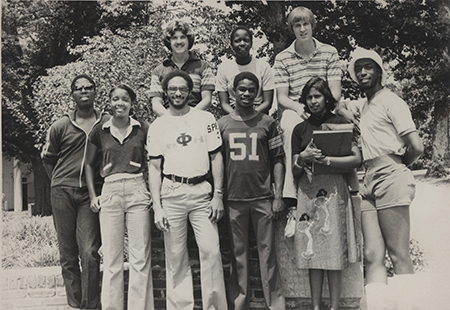 “It is a way to holistically tell the African-American/black student experience through the stories of alumni,” said Frank Pritchett, director of alumni relations. 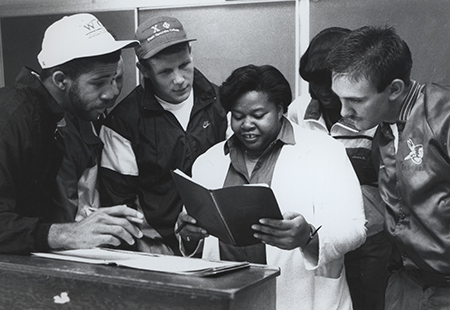 The stories and accompanying photographs will show everyday life on campus for former black students at UWG. They will feature aspects of their social life, academics, extracurricular activities and even dining experiences. Although the exhibit aims to represent a beneficial outlook for black students, Pritchett acknowledges that not all experiences will be positive but instead will embrace the entire collection of stories, even if it is negative. Since over 35 percent of UWG students report themselves as African-/black American and 10 percent are multi-racial or non-white, Olivieri believes that her position as Head of Special Collections is to allow UWG students today to see themselves as part of the institutional history.